When I moved out of my parents house, I immediately found myself paying attention to things I never had to before — like the shelf life of food in the fridge. Until you’re your own homeowner (or apartment owner) — and have had to deal with maintaining your own refrigerator — you might not have wondered how long things should actually stay in your fridge. But once you have your own place, and have had to deal with the smell of some slightly rancid “mystery” item that’s giving the entire apartment an unflattering fragrance, you suddenly start paying things like “shelf life” some mind. 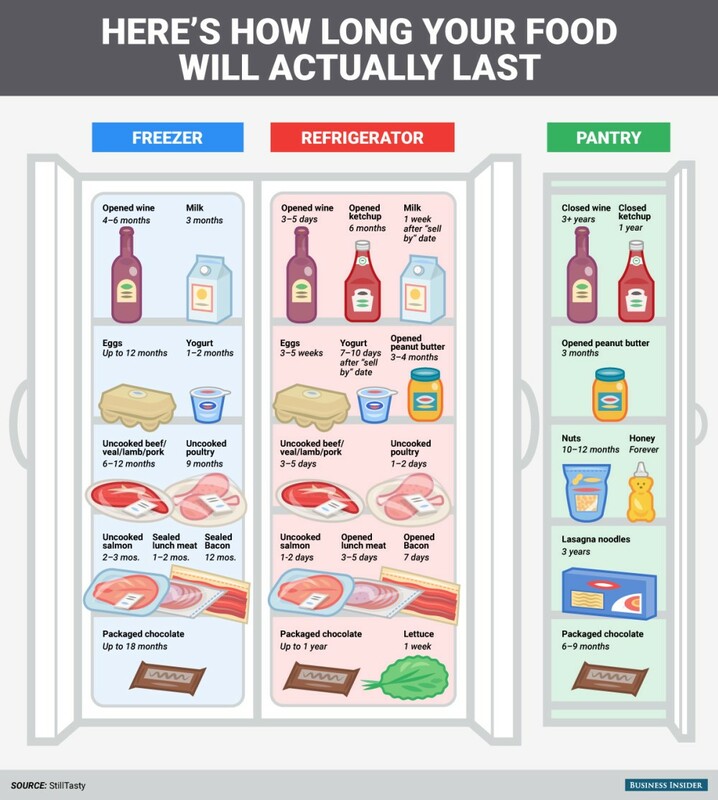 Thankfully, going about this has become a whole lot easier, due to this neat infographic that Business Insider provided for us (with the help of StillTasty, which aggregates information from USDA, the FDA, the US Centers for Disease Control and Prevention and food manufacturers, in an attempt to provide more accurate data for the food we eat). 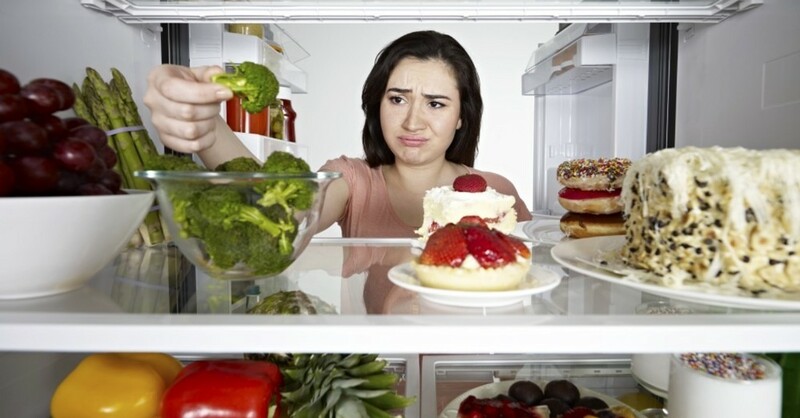 Keeping our interests — and favorite foods — in mind, Business Insider decided to include some of the usual suspects that young people are likely to keep in their refrigerators: Along with how long they should really keep them there. Take a look at this infographic, below. In addition, I decided to go out and pick a couple items that Business Insider failed to include, just in case you were wondering. Although you might think that raw broccoli has a shelf life of at least a week or so, according to StillTasty, raw broccoli actually will start to go bad after 3–5 days, even in a fridge. So if you chop up a bunch of florets and decide to only use a portion of them on a given night, be sure to stow away the rest in the freezer — where shelf life will increase to 12–18 months — or use them within five days. For many of us, leftover pasta can dwell inside the fridge for up to a week after we cook our Sunday dinners, and this might not be so healthy. According to StillTasty, just like some raw broccoli, you should really discard leftover pasta after 3–5 days — which may sound a bit drastic to some of us who are more leftovers-inclined. That said, once you toss that past in the freezer you can increase your shelf life to 1–2 extra months, but who really wants to freeze pasta. If you’re anything like me, you’re gonna keep your fridge stocked with a stash of hummus at pretty much all times. In my case, I usually opt for the industrial sized, like 64 oz, container of hummus — and it usually won’t stick around for too long. And that’s a good thing. According to StillTasty, commercially packaged hummus really only stays fresh for about a week after opening. In that case, you’re probably better off buying the smaller containers, even if that means taking more frequent trips to the grocery store.